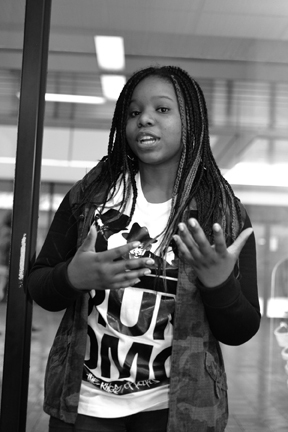 Performance poet Amanda Okafor talked with The Reflector for this week’s Q & Arts. When you’re sitting in class, do you ever wonder if the guy sitting next to you in class is someday going to write the next Number One album? Or if the girl across the room will write the next bestselling novel? Have you ever seen some of your classmates from the theatre program in their natural habitat? Do you really know how awesome your fellow classmates are? The truth is, that kind of talent is all over Mount Royal, and it’s one of the things that make our school great. With that in mind, we at the Reflector want to showcase our talented student and faculty, and celebrate our artists. This week, we are featuring Amanda Okafor, a fourth year psychology student and performance poet. 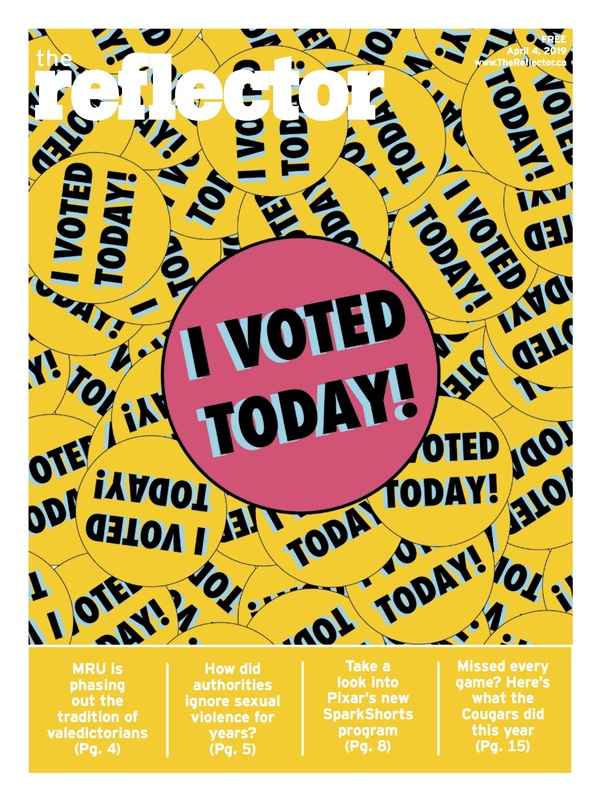 The Reflector: How did you get into performance poetry? Amanda Okafor: Pretty random actually. I like to write for fun – I didn’t see myself as a spoken word artist or anything – but my friends encouraged me to do it and so I tried at a few events and kept getting discovered by people and invited to do other events. TR: What about performance poetry is exciting? AO: I love the feeling of being on stage. You’re engaging people, grabbing people’s attention and spoken word does it on such a deep level. A lot of the poems I write are for females or minorities and express those challenges. People have come up to me and told me they can relate to what I’m saying and it’s important because they know they’re not the only one going through these situations. The most important part of you comes out through your artistic expressions and I like that. TR: Do you do perform professionally? AO: I’ve been doing it for about three years, but there’s not a big scene in Calgary, people are just getting used to it. It’s starting to grow a bit here. The shows I’ve done are an open mic type of thing. I don’t get paid yet. TR: What’s been the best moment for you as a performer? AO: I’ve lost my mom to cancer, so one of the best things for me that helped me to heal was writing. The first time I ever performed it was a poem about that experience, and I felt a big burden come of my shoulders. I felt deeply relieved. I started to cry on stage when I was done and the audience started to cry, it was awesome. TR: How to be a spoken word performer in three easy steps? AO: I had a professor, Micheline Maylor – she taught Introduction to Poetry – she told me that to be a stronger poet, I need to break away from the clichés. Don’t go on about how your soul yearns for someone and get all flowering all the time. Just be real and find your own style. Be confident. People know when you go on stage whether you are afraid, so fake it if you have to. Don’t worry about how other people rhyme or how they use their words. Be unique. Don’t worry about conventions, but expression. AO: If you find something you’re passionate about, do it. Don’t let society or environment distract you from where you want to be. My dad is conservative, so he doesn’t believe in things like going into theatre, there’s no such thing as the arts or tattoos in our family. So just live your life for you, and you’ll be okay. TR: Where can people find you? AO: @Mizz0kafor is my Twitter.